Dave left the 'old home town' to serve his country in the U.S Navy and he did just that for 20 years.After his retirement he rejoined the working class in pursuit of the American dream. Well in this day and age, it's hard to live the American dream without Facebook which is how Dave and Don reconnected (they were friends as teen-agers) and as you might guess,it wasn't long before the subject of cars came up. Now, Dave had settled down south of the Mason Dixon in the state of Tennessee which is a little more than a stone's throw Sodus, N.Y. but when it comes to building a classic car, where there's a will, there's a way.This car was aquired on June 3, 2015 incomplete with a good portion of itself in boxes and in need of some bodywork and paint. The plan was to take this car to the Syracuse National in July. Yes, 6 weeks from the time the car showed up. It may look like Granny's Grocery Getter but it's not. (Unless Granny's from Pasadena) This little A-Body MOPAR packs a punch. 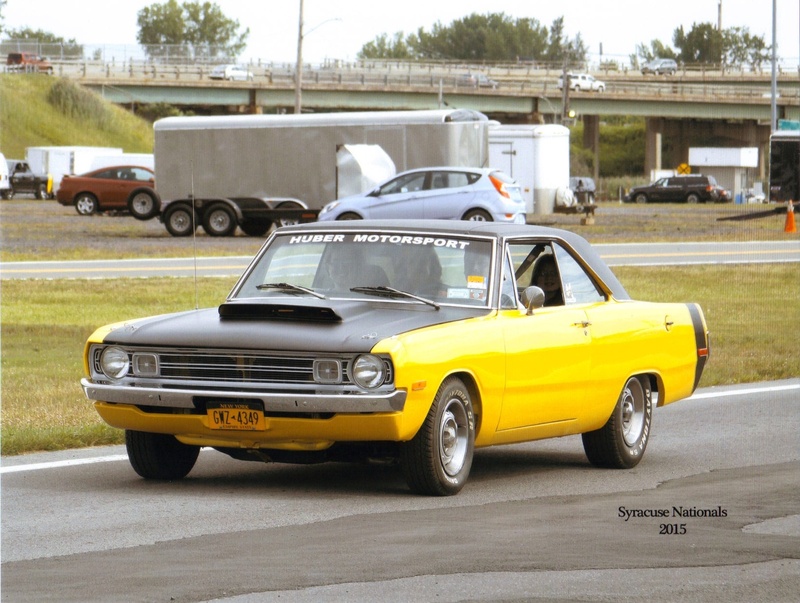 With a 408 stroker small block, 904 automatic with a 2500RPM stall converter and 3.91's out back, this Bumble Bee from Tennessee can really get lost. Dave was a car guy as kid some years ago and life kinda pushed that aside for while but I guess it goes to you that you can be away from Musclecars for a long time (living at the speed of life) but the love of them never really goes away and when you get the chance to get back behind the wheel of one, it's like coming home again. No matter how far away home might be.